Change one thing and everything can change. Such a simple sentence. Such a complex concept. This is one of the principles that are explored in the Olds Master Weaving (level one) class. I say this over and over. Usually after saying "It depends." The best short answer to almost every question in weaving is "It depends. Because change one thing and everything can change." It's 2/20 silk, most commonly set at 20 epi for plain weave (using 2/20 silk for weft - or other yarn of the same thickness). But I wanted to put the emphasis on the warp, which is hand dyed. One way to do that is to make the cloth slightly warp emphasis. Silk is a fibre with lots of drape, and the weft I had decided to use is rayon from bamboo, so also high in drape. I knew that a denser warp would not negatively impact the drape of the finished cloth with such flexible warp and weft. To make things a bit easier for myself (I thought) I started with 32 epi. 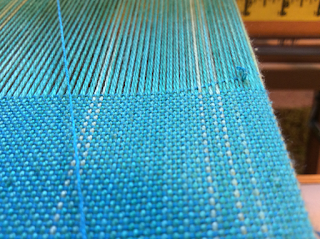 However, when I started weaving it wasn't a huge surprise when the weft would not beat in nicely. Instead it got 'trapped' in the dense selvedge creating loose bubbles. This is a sure sign that the warp is just too dense. So I cut off the inch or so that I'd woven, resleyed to 30 epi and started over. Voila. No problems with the weft not beating in nicely. I'm still getting the warp emphasis I wanted. At 30 epi it will drape and behave nicely. Questionable Origins is the business run by Abby Franquemont's husband Chad Tudor and between the two of them they have come up with an electric spinner that was developed to meet the needs of the 21st century hand spinner. While there are other e-spinners on the market, this one has a feature that suited me - on board batteries. When I go demo-ing, I usually like something portable. Weaving is not that thing. The Device fits into a fairly small case, has a foot switch, a revolution counter, bobbins that fold down into flat packs. But most of all, those batteries! It means I can fold the spinner up into a fairly small, not terribly heavy case, and take it to the park, or the fall fair, or where ever, and not have to worry about a plug in. 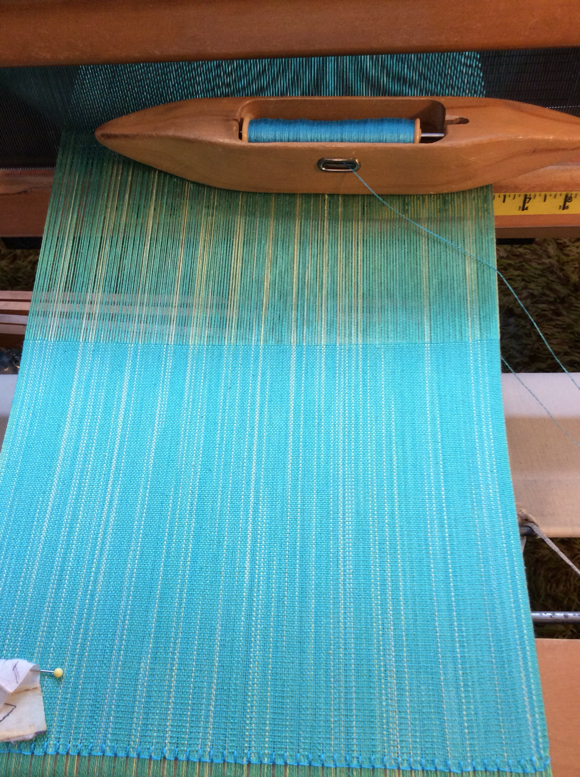 After being dragged kicking and screaming (so to speak) into the spinning room and then falling down the rabbit hole of weaving, I set aside spinning for a good number of years. I even sold my favourite wheel, a wheel built on a Norwegian design that I really loved. But I simply wasn't using it. Then a few years ago wheels began showing up in my life. When I wound up with three(!) I decided I really did need to get back to spinning if the universe was going to be that insistent by providing me with wheels. But none of them were juuuuuuust right. After discussing what I wanted to do with a local guild member, she suggested a Canadian Production Wheel. I bought one and really liked it, but...it was old (a true antique), large (didn't fit into my house) and fragile (see true antique above). It was not a wheel that could easily be transported or set up for demonstrations. Too many little fingers wanting to get into the spinning bits. Then a couple of years ago, The Device became available. It was more than I wanted to pay (although not as much as some other brands - prices seems to range quite widely), not all had the same features, not all came in a case. So about this time last year I placed an order for one. Well, it took a while to receive because Life Happened Big Time for Chad and Abby but I now have it and have been getting to know it first by plying some singles I already had spun up. Those skeins are now done and soaking in the sink in preparation to wet finishing. Next up? Spinning singles. Which might be more of a challenge. But I'm also looking forward to giving it a go. With the way the world - and society - is right now it is hard to find a little good news. But today I had some. Yes, it's personal, but it is good news - hopefully - for me. It's hard sometimes when you see so much negativity going on in the world to find some happiness. But ultimately, staying as hopeful, optimistic and, yes, happy (or at least content) is the only way I know how to navigate through it all. The past few months have been very stressful coming after a couple of stressful years. This bit of good news doesn't mean that things won't continue to be stressful. Just that with this bit of good news the stress going on outside of my control will be a wee bit easier to bear. This month marks the 10th year after my brother's death - and my diagnosis - essentially saving my life. Since then my health has gone up and down (sometimes more down than up, it seems like), but I have just been approved for one of the new targeted medications specifically for the cancer I have. I have also found out that while there is a genetic component to this cancer, it is not an inherited genetic defect but a true mutation. So I can stop blaming my dirty gene pool for this cancer. It just is. Something, somewhere, sometime caused my immune system to develop rogue cells. I am fortunate in that I did well with chemo the first time round - well enough that in the interim these new targeted drugs have been developed and are now available for round two. And I am approved to receive them. No chemo. No shutting down my life for 8 months while my immune system gets trashed. No being ill from the chemo cocktail. The oncologist told me today that the drug will take effect almost immediately and I should start to feel better within just a few days. That the crushing fatigue I have been pushing myself through should ease. Yes, it may take some time for my body to adapt and adjust to it but that the drug is well tolerated and if there are adverse effects, they have treatments. So I can look forward to my very busy teaching schedule. 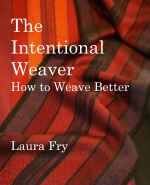 I can look forward to getting back to writing The Intentional Weaver. I can look forward to the craft fair season. I can look forward to weaving my stash down. I can look forward to the conference here next year. I can look forward to living longer. Thank you science. Thank you big pharma. The past week has seen a flurry of activity as boxes of homework from two of the level one classes began arriving. The submissions have all been very good - which is a bit challenging. How do I comment when the student has pretty much figured out on their own what their weakness(es) may be and a plan to improve? So, I resort to 'atta girls' and affirm that I believe that they know what they need to do. I have also given them a head's up on how to prepare for level two (cotton, twill, overshot, double weave). Might as well let them know what to focus on? Some of the students arrive with more or less experience. 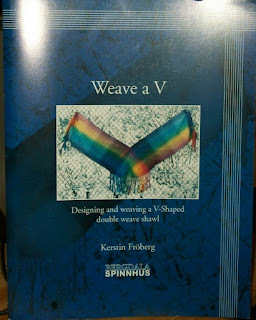 I feel that one of the important things that I, as a level one (mostly) instructor need to do is prepare them for the mental challenges of mastering something as complex as weaving. Sometimes the hardest part to learn is to a) let go of the idea of being 'perfect' and b) to figure out where to go from where they are. This year I am booked to teach three level one classes and one level two. Level one will be offered in WA (Tenino) the beginning of May. Cape Breton (St. Ann's College, Englishtown, NS) the last week of May and Olds mid-June. Level two will - I hope - proceed on Cape Breton the first week of June. For details on these or any of the other class options then scroll down to see them all. My work table gets used for all sorts of things. On this day I was doing some experiments on absorption. The past few days I have been marking student work. I have been thinking about the journey of learning a lot - as you do when marking. There is a popular saying right now that says something to the effect that if you want to master a skill you need to spend 10,000 hours practicing it. Well, first of all, I am pretty sure 10,000 hours is an arbitrary number. Because some students will come to mastery faster than others. What the number does, however, is convey the fact that mastery does not come 'cheaply', certainly not always quickly. That it takes focused study and, at times, determination - especially when things go horribly awry. As they do, when pushing one's boundaries! Practice without self awareness simply makes 'bad' practice 'permanent'. Of course we can always change what we are doing, but the more we have practiced 'bad' processes, the harder it is to change. So always, when we are learning, we need to do so with awareness of what it is we are doing, whether or not it is effective, what we need to change in order to do 'better'. I tell my students that if they walk out of the classroom knowing more than when they walked in, I have succeeded. So rather than being put off by some arbitrary number, I encourage students of anything to walk forward into new knowledge with the purpose of becoming better than they were before. None of us knows when our end date is. Some of us will never be able to invest 10,000 hours. Some will invest much more than that. Just know that learning a skill is not an instant gratification kind of an activity. If it was easy, it wouldn't be called mastery. But most of all, I am grateful for those students who share their journey with me. 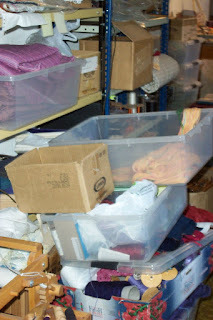 A not uncommon sight in my studio - bins piled up with warps, spools, general...messiness. 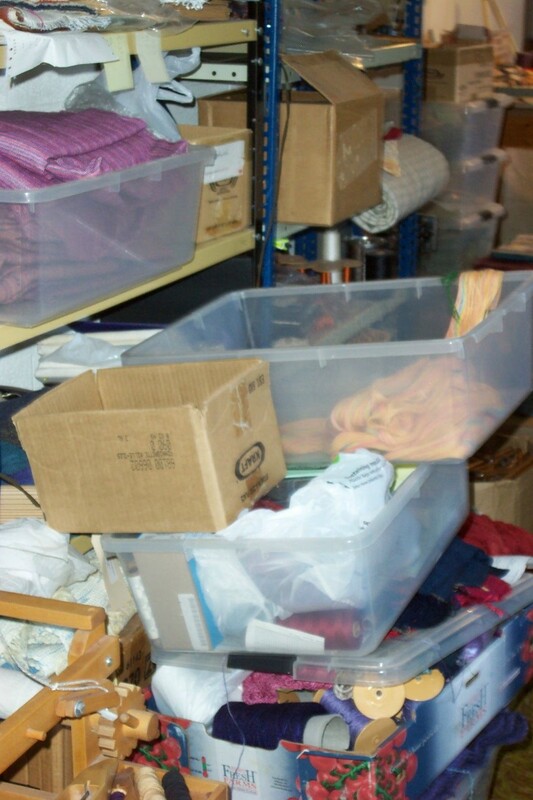 While it may look messy to someone else, there is a certain level of organization in the mess. Because I never work on just one project, one warp at a time. My approach to getting everything I do, done, is to have several items that progress, in their turn, depending on a number of factors. I have always been really good at working to deadlines. I can 'see' my schedule, I have a pretty good idea of what needs to be done next in order to progress efficiently. There are times when I work in batches, collecting things to the point of, say, wet finishing, then doing a big batch of wet finishing. Like I did yesterday. Doug said he could go pressing today, so yesterday I ran four dozen mats with matching runners, plus the 14 towels I wove last summer, through the washer and dryer. This makes more economical sense than running only a dozen mats through the washer - that's a waste of time, energy and water/electricity. Much more economical/efficient to do two dozen mats at a time. I tend to go on a warp winding binge. I get into a rhythm, filling boxes or bins with warps to be done later. As I design more colour ways for a particular design, I push myself further out of my comfort zone in terms of the colours I use together. I work from my stash, adding another level of challenge - what can I do with what I have? Then I tend to weave them off as quickly as I can. I've gotten good at scheduling. I know how long it takes me to do a task so I have a good idea of what I can accomplish (when I'm not sick) in a given time. Sometimes the available time is just 15 minutes. What can I accomplish in 15 minutes? I can wind bobbins. Pull colours for another warp. Clean up. Make up a yarn order. I don't ever say "oh I only have 15 minutes - not enough time to do anything productive". Those 15 minutes here and there can add up. I can even weave a place mat and a half in 15 minutes. I can wind a mat warp in 20. How do I know? Because I pay attention to such things. I don't watch the clock to see when I can stop working. I watch the clock to see how much time I have and what I can fit into that time period. A friend has told me that I get more done when I'm having a bad day than she gets done when she is having a good day. But she does different things than what I do. It's never a good idea to compare yourself to someone else because you never know what is really going on beneath the surface. What I do say is that if you like my results, you might like to take a look at my processes. Because what I do and how I do it is no secret. I also do a lot of my thinking when I am in the studio, working when only surface attention is required. People frequently tell me that they can't make more than one of anything because they get bored. I never get bored when I'm weaving and I almost always make multiples. I get into the zone and weaving becomes a kind of working meditation for me. My problem is that as I age and find my body wearing out I still think I'm 35 with all the energy and enthusiasm of that 35 year old. Well, I still have the enthusiasm, which is part of the problem. I'm slowing down, my energy isn't the same as it was 30 mumble years ago. 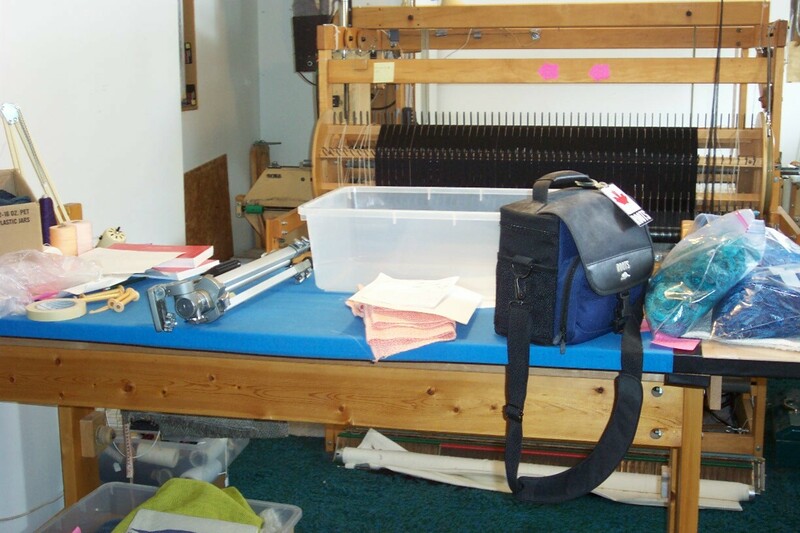 Not too long ago, in a conversation with another textile professional, she commented that people like us were always running 15 projects off the sides of our desk. I had to agree. My working life is a constant round of keeping various and sundry plates spinning on their respective sticks. Sometimes I don't always manage it. There are other things waiting in the wings, but those listed above are things I actually worked on over the past week. People like me don't work a standard five day week, or a standard 8 hour day. Over my lifetime I have worked 7 days a week, up to 15 hours a day. A 60 hour week isn't uncommon. Much of what I do is very physical - for me weaving is an aerobic activity. Staying in touch with workshop/class/conference organizers - takes time. All of that time is unpaid until it is. You have to market yourself by applying to conferences and/or guilds to teach. You have to submit articles 'cold' many times until you get accepted. When writing, you never know if anyone will pay you for your efforts. Most of all, being a professional in this craft is a daily dance with details - just like the craft itself. One of the jobs required if you are to be a professional is that of marketing. Since I have several income streams, I have to 'market' all of them, at one point or another. The first thing was to come up with a logo. A visual that people would come to associate with me, with my name. At my first (and only, but that's another story) solo art exhibit, viewers noticed that I had repeatedly used the butterfly as a symbol in my work. Many commented that obviously I needed to use the butterfly to represent myself. I took heed. Over the years my logo has changed, evolved, and for the past - oh - nearly 20 years? I have used the logo above. This little butterfly tends to get incorporated in various ways. It is used on my hang tags, my business cards, on my letterhead. But what, you ask, is marketing, anyway? In the 1990's I took a marketing class and one of the presenters defined marketing simply as sharing information. It's all well and good if you build a better mousetrap, but if no one knows that you do? You won't sell very many! So. Marketing. Sharing information. 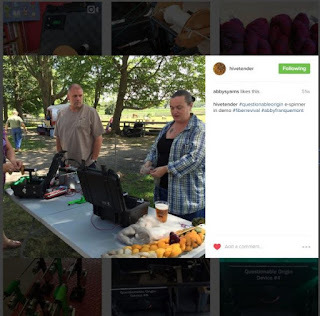 Letting people know that you have a product, an event, something they might be interested in, either purchasing the product, or signing up for the event. I have gotten pretty good at it. People say I write well (thank you!) and since I was an early adopter of the internet, have gotten pretty savvy with various chat groups, social media sites and blogs. But marketing is not something one person can really do, all by themselves. And so people like me rely on others to spread the word. Such as this conference I'm involved with. My hope for this conference is broad. The obvious one is that everyone who comes has a great time. Just as important is that the conference be financially successful. In order to be financially successful, people have to attend. We are still gathering information on how much it is going to cost - which is making budgeting a bit of a challenge. We are also attempting to pay our instructors a fee that respects their knowledge, commitment and the effort it takes to put on a good workshop, present an interesting seminar. But we are also, as hosting guild, hoping to make a profit. The association keeps 20% of the profit but hopefully even after that is paid there will be sufficient money left over to benefit the guild. For any guild that is considering hosting a conference, feel free to contact me. You don't have to be a huge guild in a large metropolitan centre to host a conference. Our town is small, our resources limited. We are not aiming for bigger is better, but to have a quality experience for all. Sometimes smaller is better. Sometimes you just have to get a little creative in how you plan. The ANWG conference happens every two years. The conference after ours will be held at Salem, Or. There are rumours that 2023 might be further afield. But ultimately, conferences need hosts. Do think about being one of them, where ever you live. The internet is all well and good, but nothing beats meeting the textiles - and other weavers - in real life! 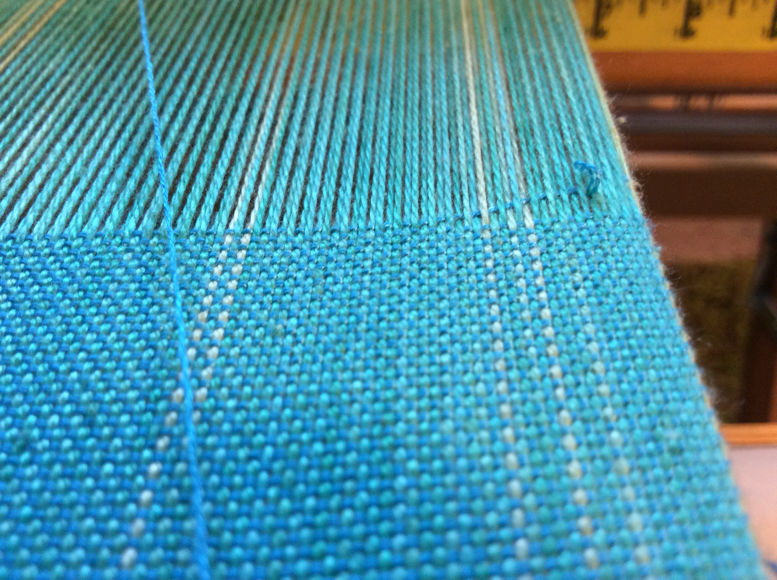 What does it mean to be a professional in the world of weaving? It can mean many things. Mostly people take it to mean that you get paid money for your efforts. While that is one measure of a professional, there are others. One way to be professional is to do what you say you will do, when you say you will do it. Another way is to arrive at an event you are presenting at, on time and prepared. Sometimes things happen that prevent this from happening. Like the time I arrived, but my luggage, and therefore all my teaching samples, didn't. It did eventually catch up with me, but it meant I stood up in my travel clothes (a much more casual - comfortable - look, than I try to portray!) And there was a lot of arm waving and use of the guild members show and tell textiles to be examples of my talk. Sometimes you get sick. I have multiple allergies to various and sundry foods and I have, more than once, spent the night in the toilet, then had to deal with the brain fog of a severe allergic reaction while trying to find the right words to use to convey meaning. Sometimes parcels get lost in the mail. 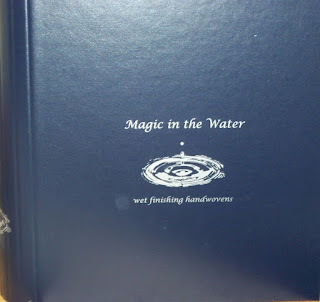 I had to replace several copies of Magic in the Water (yes, the original) when the box didn't arrive - or arrived damaged due to adventures in getting across the pond. Was that my fault? No. But it wasn't the customer's fault either. 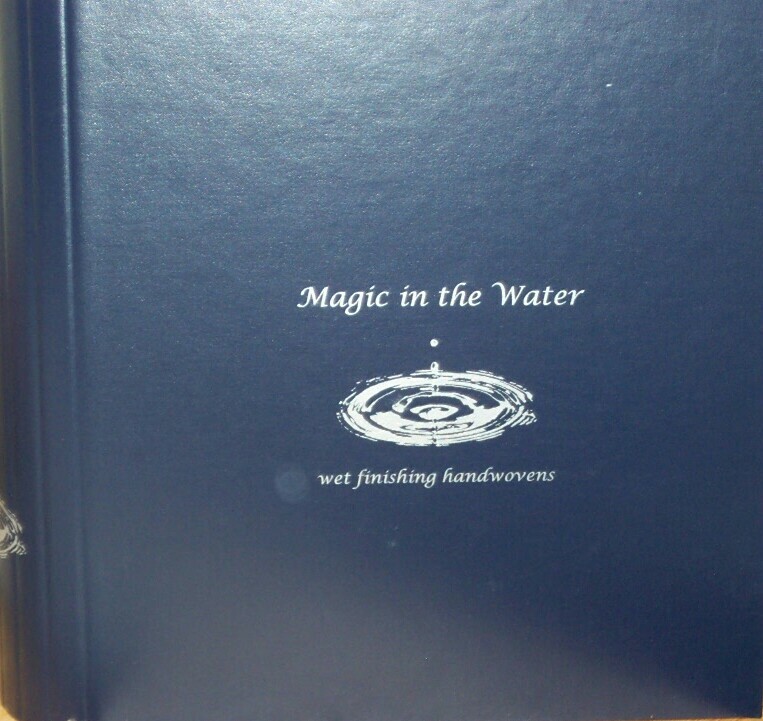 So I made good by sending another copy. The majority of weavers (and spinners) who teach do it because it is one of their income streams. They work hard prior to an event - either guild workshop or conference - putting in many hours of preparation prior to the event, generally purchasing their tickets a month to six weeks ahead of time, essentially financing the event until they get paid. Teachers should not, in my humble (or not so humble, take your pick) opinion should not be subsidizing an event by being paid low for their teaching, subsidizing the event by financing travel prior to but most especially after the event has happened. Teachers frequently purchase class materials well ahead of the event, so they are in effect subsidizing the event by financing those class materials until they get paid. I have only once been paid for materials for a guild workshop when I shipped them. It was a welcome courtesy that was completely unexpected because it was so rare. I have instead been made to wait for up to three months after an event to get paid for my teaching, travel and materials. To me, this was most unprofessional on the part of the organization. I was able - at that time - to carry the financing - but teachers should never, ever be expected to do so. Payment in full should be taken home when they leave the event. If teachers are expected to act professionally, they should be treated as professionals and get paid, in a timely fashion, and not have to nag the people who are paying them. And that is the rant du jour from me. As a weaver/writer/teacher I am constantly working on things that won't actually happen until some time in the future. In this case, I'm working on a suite of samples for an article/project for the Nov/Dec 2018 issue of Handwoven. Yes, the lead time for magazine articles can easily be 9 months. Since I also have to mail them, I cannot wait until the deadline the magazine needs to have them to mail. I have to get them done, project notes written up and all, into the mail well before their deadline to receive my materials. I am also working on inventory for craft fairs - happening in Oct. and Nov. of this year. I am also working on The Book, hopefully to be ready in time for Christmas purchasing. Yes, this year. I am also working on a conference to be held in June of 2019. There is no instant gratification involved in what I do. Ever. Weaving cloth is, by it's very nature, time consuming. If I needed instant gratification I would never have managed to be a weaver. Or a writer. Or a conference planner. My days are filled with thinking about what will happen in the future. What I need to do to make the event, the thing, happen so that it is ready in time. As for the explanation of the pictured sample? You'll have to wait until the Nov/Dec issue of Handwoven! In spite of ongoing health issues and a quick trip I have made progress on my intention to build inventory. Things are getting busy here and with writing assignments, my own and for others, teaching, if the event fills (I always make every event conditional) plus the designing and weaving of the projects for The Intentional Weaver, this year is shaping up to be crunchy with critical deadlines. As a teenager I was a member of the track and field team. We needed to have three events we participated in. Now, I was not any kind of runner, so I chose shot put, discus and hurdles. Because the one thing I could do, after five years of ballet, was jump. As an adult I visualize deadlines as hurdles in my path. And as long as I keep going and work every day, I can usually manage to make it over those hurdles. Getting older means I need to be aware of time in between to catch my breath before I tackle the next. But after 40 plus years of over booking myself, knowing some events would cancel due to lack of sufficient registration, I find myself working to find the balance that will allow me to carry on at a more sustainable level. I think this is the hardest thing about getting older, facing the reality of a body wearing out...how to find that balance. One way I am doing this is to put my efforts into the Olds College program. 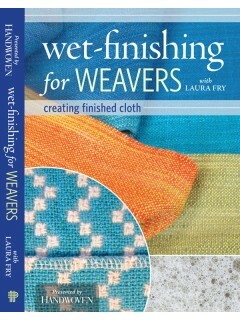 And getting The Intentional Weaver ready for publication. But once the book is done I am hoping to continue to work on finding balance in my life. And stop thinking up exciting *big* projects to work on! Jacket I wove for my brother. Motif based on the photo of the Royal Hudson, turned into a graph by Don, adjusted so it could be woven, then woven in modified Beiderwand. 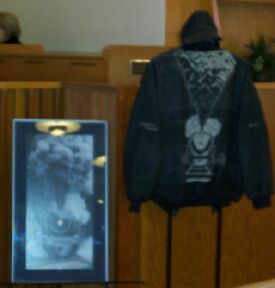 This month marks 10 years since my younger brother died. It has been 'interesting' - in many ways interesting in terms of the Chinese curse "May you live in interesting times", in many ways just plain interesting, as in intriguing, educational, engaging. Sometimes all within the same week, even the same day. My brother and I were 6 and a half years apart in age. We were very different in terms of personality. When he died, one of his friends lamented the fact that Don was gone because he would miss Don's energy and enthusiasm and referred to Don as a catalyst. And it was a true assessment of my brother, I think. He always seemed to quietly make great things happen. We were not close, insofar as we didn't hang out together socially. We led very different lives, hung out with a completely different set of friends and acquaintances. But we were close on a different level. About every three months, Don would come over and he would share what was going on in his life and we would dissect what it might mean. As in a 'what's it all about, Alfie' kind of way. Bottom line - what was the lesson to be learned in this situation? I think - I hope - I provided him with context. It started when he was in his 20's and I laid out the timeline for significant events that had happened when he was a child, explaining the stresses that were going on, things that - as a child - he was too young to understand. After that, he seemed to feel comfortable coming to me to examine the events going on currently and we would pick through the underlying meaning - the life lessons that we might both learn from. I suppose in a way that this is how I have always lived my life. And this approach has always been most valuable in terms of learning how to create cloth. To be able to look at the results, pick the whole apart, see where things might have gone 'wrong' and how to get closer to 'right' in the future. In a way it is why I think textiles have played such a prominent role in the fairy tales. When these stories were first created, language was primarily a spoken one, not a written one. These tales referenced common touch points - things that most people understood. The creation of textiles was common amongst the people and everyone understood collecting fibre, spinning it and then making some type of cloth from it. Yarn and cloth were understood by pretty much everyone, so became important metaphors for life lessons. Rumplestiltskin. The Swan Princes. Hanzel and Gretel. And so many more. When my brother died I wondered, why him? Why not me? I was older. It didn't make sense for him to go and for me to stay. So I looked for the lesson. And realized that I had more lessons to learn before I could go. The past 10 years have seen health issues galore and over and over again I have asked myself, why? Why him? Why me? Why am I still struggling to stay here? And again and again the answer is - I have more to learn.